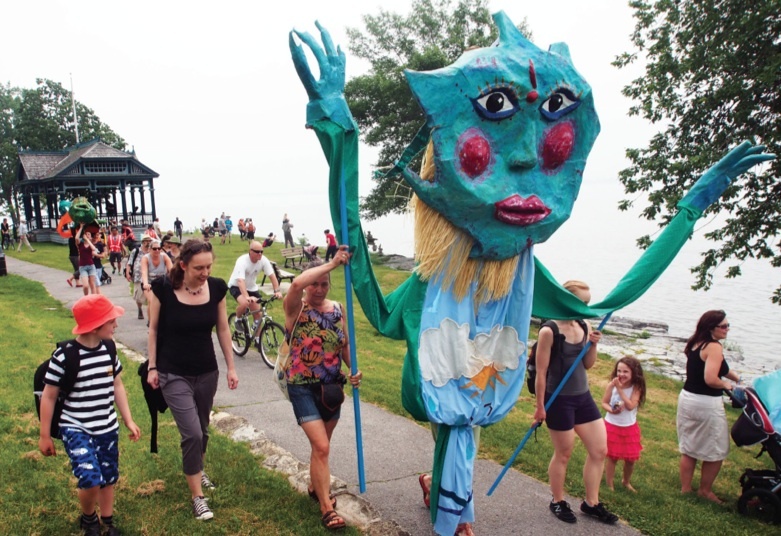 On June 23, 2013 a public protest called the Shoreline Shuffle took place where several hundred people walked, paddled and cycled 7.7km along Kingston’s downtown shoreline to raise awareness about the need for better public access and waterfront planning in our city.This event was created by David McDonald, founder of the Water Access Group, and other organizers, Mary Farrar, myself, Irina Svortsova, and Lea Westlake. Many enthusiastic volunteers also helped shuffle the public on that day. As a result, the City of Kingston has agreed to create a comprehensive waterfront strategy in close consultation with different levels of government, user groups and community organizations. This process began in January 2014. Message on the Water, The Kingston Whig Standard, Janina Enrile, June 6, 2013. Shoreline Shuffle from Arden Rogalsky on Vimeo. For the Pumphouse Museum Shoreline Shuffle Revisited Exhibition 2014, click here for details.